In her interview, Thompson said: “The biggest factor in student success is actually how effective the teacher is” — and there is research that supports this assertion when it comes to high school-aged children. While high school students may be able to handle larger classes, research shows the same cannot be said for primary students. That’s likely why the Progressive Conservatives opted not to remove class size caps for kindergarten through Grade 3, a move that certainly would have ignited even sharper backlash. If, as many educators say, large class sizes make it harder to form constructive student-teacher bonds, Ontario’s current plan could be counter-productive. “Ontario, over the last number of years, has had an incredibly low teacher-to-pupil ratio,” Thompson said in an interview with CBC’s Power & Politics after the new policy was announced. Ontario’s average high school class size requirement of 22 has been in place for more than six years, and is indeed lower than other provinces. The target was reached after the Liberal government, beginning with former premier Dalton McGuinty’s election in 2003, began pouring hundreds of millions of dollars into reducing class sizes across all grades. Boosting the average secondary class size to 28 would still see Ontario rank on the lower end of the spectrum. Quebec, for example, has a cap of 32. Alberta doesn’t have hard caps, but maintains a target of 27. For many years B.C. maintained a limit of 30, however now limits are negotiated at the local level in collective agreements. In her interview with Metro Morning, Thompson said teachers told her during consultations that between 26 and 28 students is the “ideal” range for facilitating group work and fostering a “team environment” in high school classrooms. “This is the total of completed online surveys, open submission forms, email submissions and telephone town hall participants,” a spokesperson for the Ministry of Education said in an email. Unions representing both secondary and high school teachers have been fiercely critical of the choice to increase class sizes in intermediate and high school grades — warning teachers will face unsustainable workloads and have less time to build constructive relationships with students, especially those who may require extra help. Thompson has repeatedly promised that there will be no “voluntary” job losses among teachers as a result of the changes. 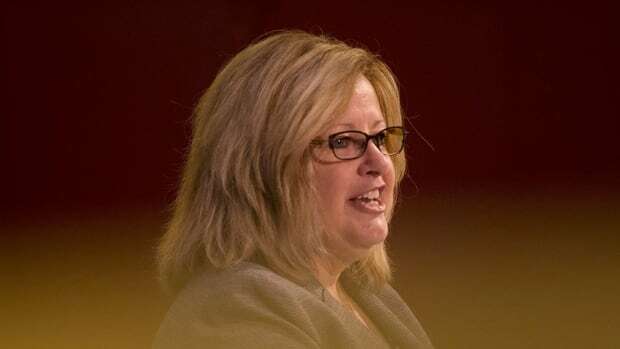 The Ontario Secondary School Teachers’ Federation, however, says that as many as 20 per cent of high school teachers working in the publicly funded system could be affected. Meanwhile, the Toronto District School Board said in a memo that some 800 of its high school teachers could lose their jobs.